In July 2018 Unlimited supported Tarik Elmoutawakil, lead artist on Unlimited commissioned work Brownton Abbey, to attend and take part in Vrystaat Arts Festival, South Africa. Tarik has given us a vivid insight into the trip in this blog and through his video diary. Watch Tarik’s video blog, clicking ‘CC’ on the bottom right of the video to turn on subtitles, and read his further reflections below. “The first few days in Bloemfontein focussed around the Pan African Creative Exchange (PACE), spearheaded by Nike Jonas. PACE is a two yearly event that brings together artists, creators, producers and programmers from across Africa. This year also had several delegates from Europe, including from The Albany, Tiata Fadhoza, and The Young Vic, and even one from the US. I’d met some of the delegates before (including the soft but powerful force that is Jenny Williams). Programmed were panel discussions on topics such as Gatekeeping, Multi Lingual Arts Practices, and The Mobility of African Art. I was a speaker on a panel called ‘The Creative Case for Diversity’ joining other artists and programmers, including Hassan Mahamdallie, who, I discovered was responsible for developing The Creative Case for Arts Council England. I was pleased to have the opportunity to speak about my own methods of programming at The Marlborough for Brighton Fringe and the policies that we have developed to ensure marginalised artists and audiences are safe to be their full selves. I talked about moral and sociological objectives, and that the false notion of being a ‘neutral programmer’ is one that centres straightness, whiteness, able-bodiedness and so on, as normal. Although the panel did not last as long as everyone would have liked, it was a good opportunity to express my vision to interested listeners, and to also meet others whose visions were aligned. PACE also brought along with it the opportunity to see a body of developing and tour ready work, work that had been created through international collaborations, such as ‘Alpha’, a production made between South Africa, New York and Holland. This was very inspiring for me to see, as it broadened my horizons as to the benefits of international partnerships and who and how they can benefit artists, cultural bodies, and most importantly, the marginalised citizens who can engage with the work. I revelled in discussing the works with the other artists and programmers present, and I especially enjoyed having access to the thoughts and feelings of the young, university educated, south African black queer artists in response to the work. 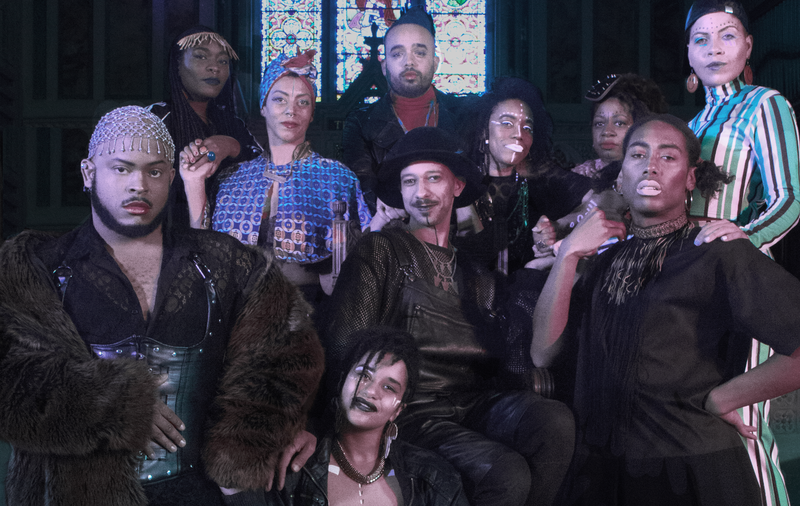 We were able to discuss the complexities of what it means to be Queer, and black in a ‘post-apartheid’ African nation, where much of institutional power still resides in the hands of white people. What does it mean to be all of those things, and an artist? As PACE drew to a close, Vrystaat Festvial kicked in. Since he took up his position as Festival Director, Ricardo Peach has been working tiredly and actively to build bridges, using arts and culture to contribute to healing the rifts between the black and white communities that live in Bloemfontein. This involves programming work by local black South African artists, as well as international ones. It also involves developing and training the producing team, and employing black South Africans within this. South Africa has of course, a very complex history, and spending time at Bloemfontein allowed me to begin to understand the ever present, sometimes visible other times obscured, conflicts. After Bloemfontein, came Capetown, where I had planned some unstructured (ADHD friendly) time to meet the qtipoc (Queer, Transgender, Intersex People of Colour) artists and explore the arts scene in this cosmopolitan city. There was time for a little sight-seeing to soak up a fraction of everyday life. I also visited MOCAA, (Museum of Contemporary African Art) which currently (and serendipitously) houses works by qtipoc artist, Athi Patra Ruga. During the 5 days in Capetown, I continued meeting up with artists, and took part in an embodiment and writing workshop created and facilitated by performance poet and activist Alok Maid Venon. It was a transformative experience, one that was exclusively for qtipocs. It was very affirming for me to experience a radically exclusive event in Capetown, and to feel the benefits as a participant. I made some connections in that workshop that I’m sure will last way beyond the 3 hours that we spent together. My final night in Capetown was my first night out since arriving in SA, and I was fortunate to go to a party hosted by FAKA, a queer, indigenous performance duo, whose glitchy entrancing beats and captivating style have grasped the attention of publications like Vogue, as well as the hyped up audience in the club. Dancing the night away with other qtipocs, in a very open and safe space in another country was incredible. I have rarely experienced partying with a predominantly qtipoc crowd (and this acknowledgement surprises me), let alone outside of the UK.